RV Tire Shades are made to protect your campers or RV wheels while it's parked in the campground or stored in the off season. Natures elements can have major impact on tire performance if left out in the sun for months. Sidewalls can become cracked and the next thing you know is that when your driving down the road when he tire blows out. 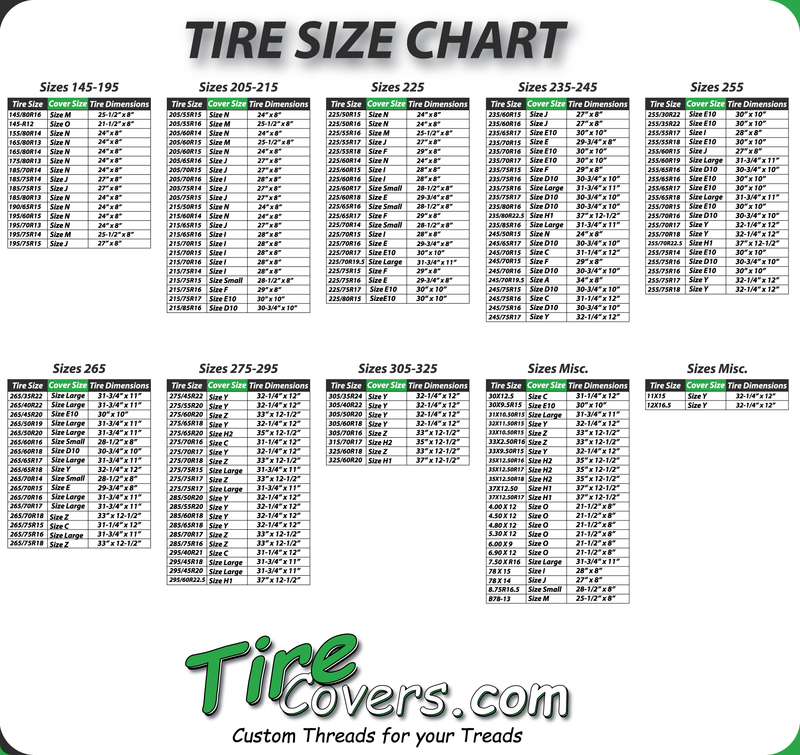 Click here to request a quote for custom dealer imprint tire shades.